It is crucial for the immune system to work properly and is involved in the breakdown of carbohydrates, insulin function, cell growth and wound healing. This trace mineral has to be consumed in the diet as it only exist in small amounts in both humans and animals. Zinc enriched foods include beef, lamb, cooked oysters, egg yolks, pork, dark chocolate, cheese, nuts, seeds, spinach, legumes and whole grains. The research team at the Technical University of Munich observed that slight zinc depletion can damage the efficiency of digestion and the pancreas. In this study, pigs were divided into groups and fed a diet with different amounts of zinc over 8 days. After a week the pigs developed early-stage zinc deficiency without any visible symptoms. Their bodies tried to absorb zinc more efficiently, but pancreatic zinc excretion was reduced, and so the test animals’ appetite reduced. “Various hypotheses were derived, for example, that zinc deficiency had a direct impact on the vagus nerve. The pancreas acts as the control centre for digestion of food. To keep a consistent zinc level, the pancreas pumps zinc into the gastrointestinal tract under normal circumstances. Since the body only needs small amounts of zinc, it tries to hold on to the stored level. Therefore pancreatic zinc excretion will reduce to a minimum when the body is low in zinc. “We proved that there is a direct correlation between the amount of digestive enzymes inside the pancreas and zinc levels in the organism as a whole. 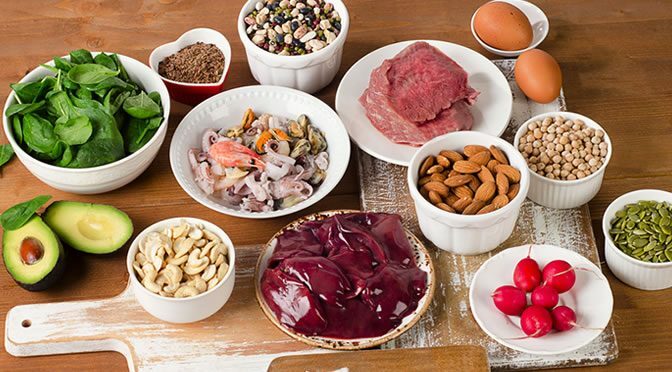 Even short intervals of zinc deficiency in the diet should therefore be avoided. Older people, vegans and vegetarians should check their zinc intake regularly. This study was published in British Journal of Nutrition (Bruggeret al., 2016).